1 – 30 MHz with band spread tuning. Regeneration with a difference. 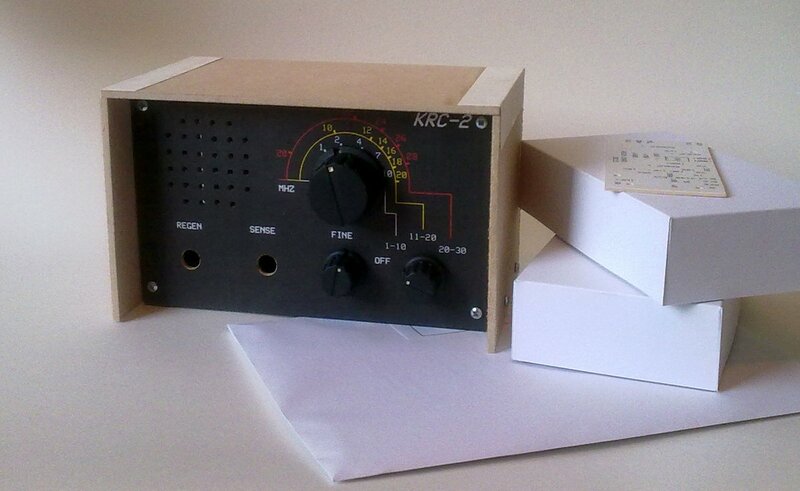 The regeneration setting on the KRC-2 is unaffected by the receiver tuning or the antenna coupling. How do we achieve this? 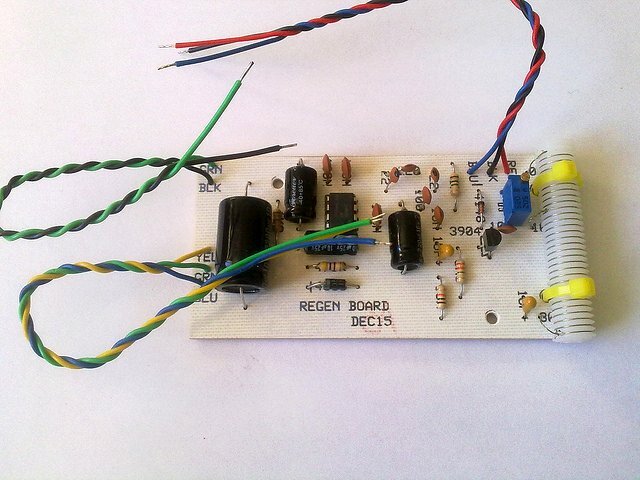 The regenerative stage is fixed at 10.7MHz and used as an IF amplifier. 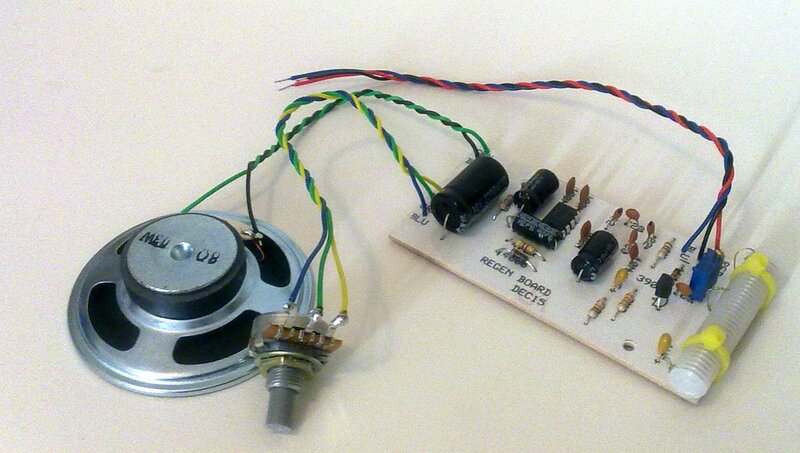 The main receiver board is extremely simple to construct using only one FET and an audio IC. 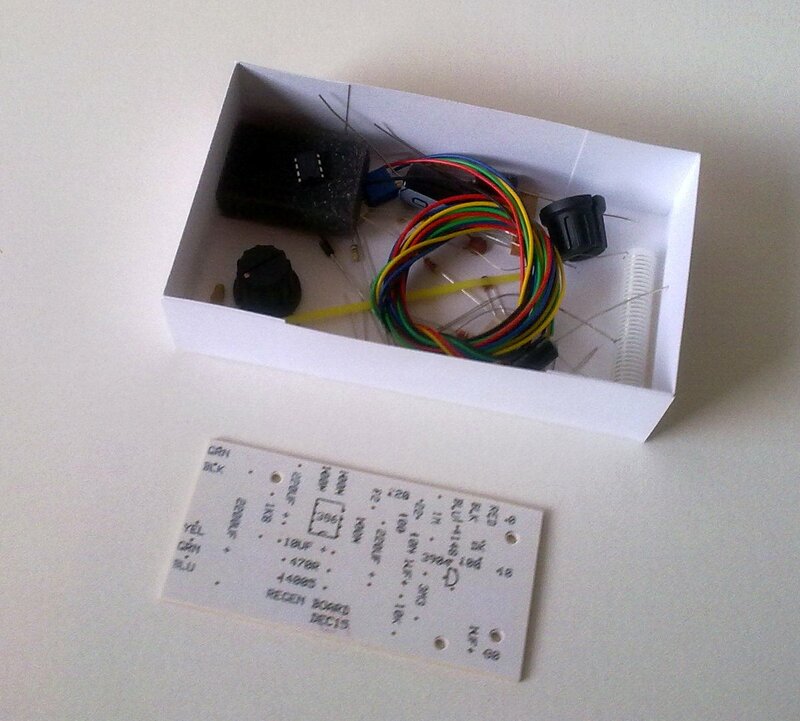 Like all the KRC kits it comes with a comprehensive construction manual which brings this project well within the grasp of the keen constructor. It was referred to as “a very sensitive little receiver” by Rob Mannion of Practical Wireless. Its unconventional design and simplicity should amaze even the experienced constructor. Case size 7 x 4 x 3 inches. 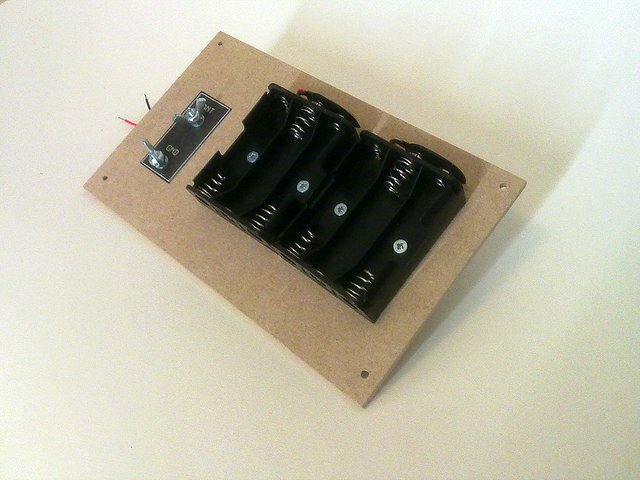 6 x AA batteries supplied. 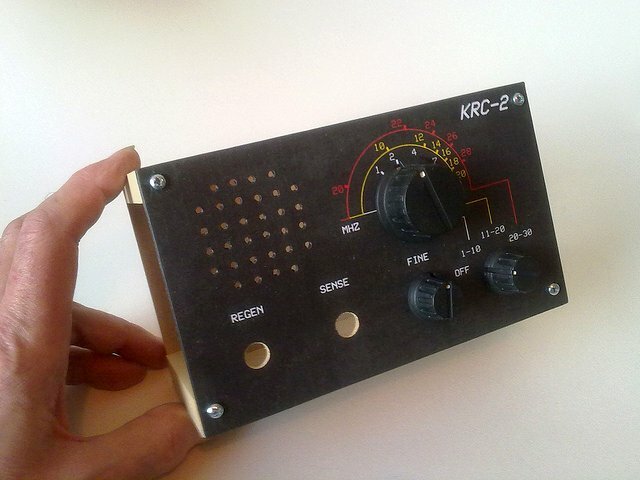 Click here to view the KRC-2 and Tony’s other kits. 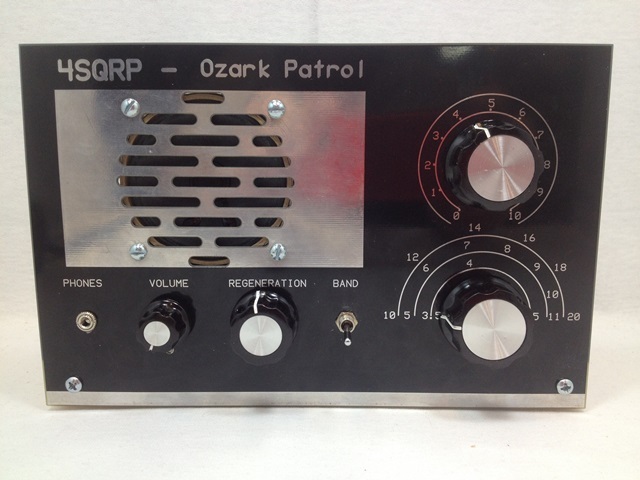 This entry was posted in Kits, Manufacturers, New Products, News, Radios, Shortwave Radio and tagged Kits, KRC-2, KRC-2 Regenerative Receiver, Receiver Kits, Regen Receivers, Regenerative Receivers on March 28, 2016 by Thomas. 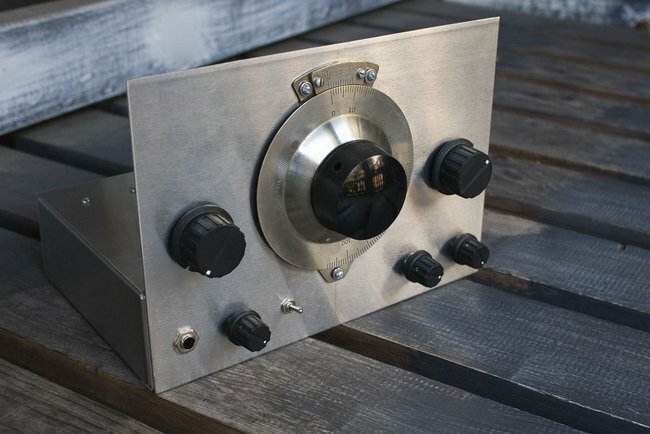 My talented pal, Dave Richards, has built yet another home-brew regenerative receiver––which he dubs the Sproutie MK II––and wow, it’s a thing of beauty. 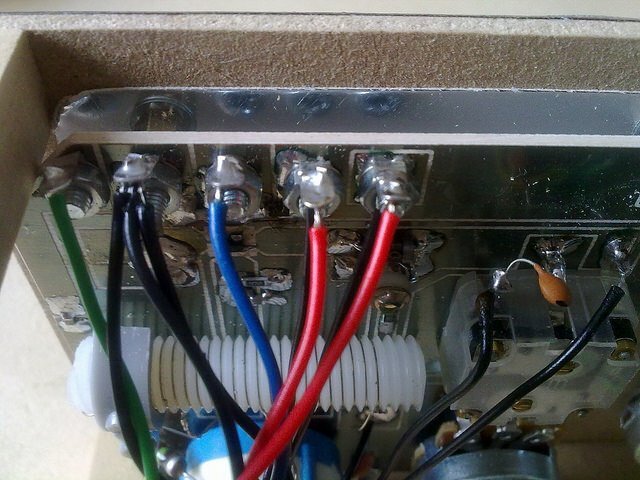 Dave tells me has been working on this receiver for many months, and upon viewing the following photos of it, it’s clear to see why he took his sweet time. As in his original Sproutie, a vintage HRO dial has taken pride of place as the centerpiece of his rig; it looks stunning. 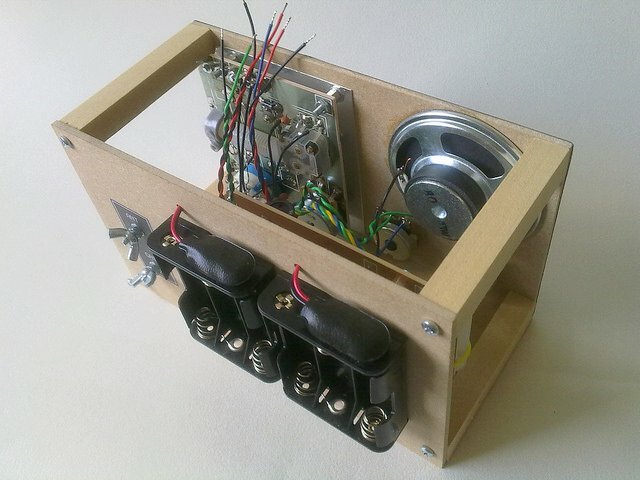 But the Sproutie MK II is not only painstakingly-crafted on the outside; like Shaker furnishings, wrought for the eyes of God both outwardly and within, the interior of Dave’s receiver is equally well-crafted. As for performance? Of course, with such a clean interior, the Sproutie II performs like a champ. Dave posted a few videos showing how his new receiver commands the airwaves and aptly handles AM, SSB, and CW. 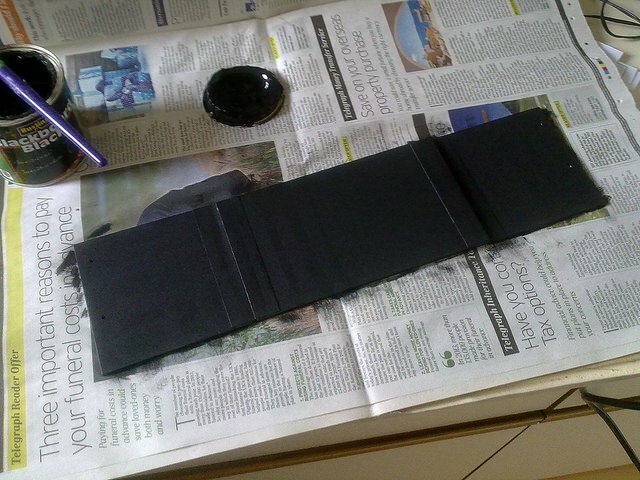 That’s an amazing piece of kit you’ve created there, Dave! Hats off to your incredible craftsmanship. 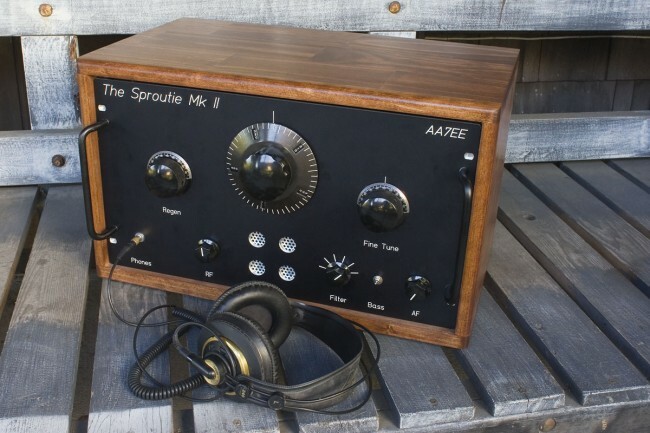 Check out Sproutie II on Dave’s blog, where you can read a full account of how he designed and built this gorgeous regen receiver. 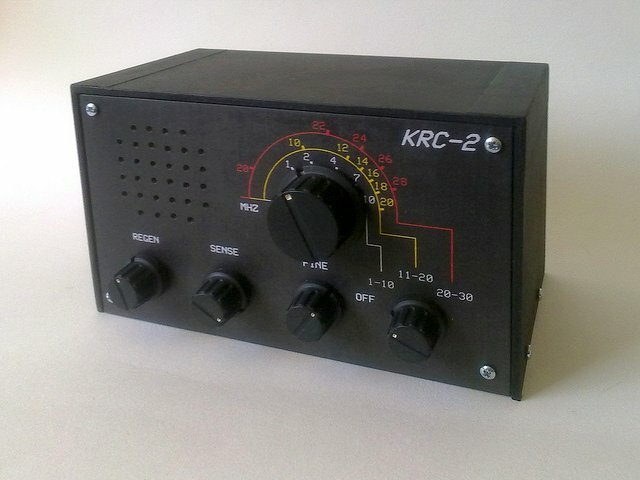 This entry was posted in Ham Radio, How To, News, Nostalgia, Radios, Shortwave Radio and tagged Dave Richards, Dave Richards AA7EE, Home Brew, Regen Receivers, Regenerative Receivers, The Sproutie, The Sproutie MK II on September 15, 2015 by Thomas. 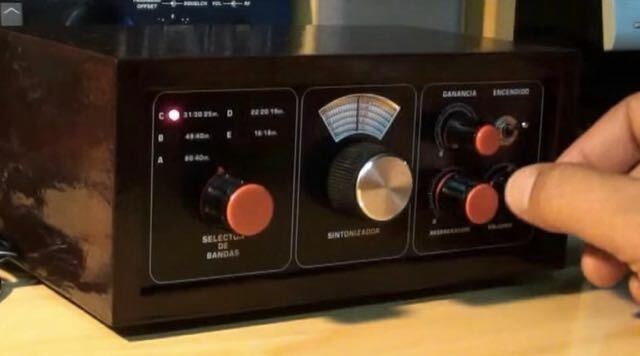 Video: Dave’s “Sproutie” home-brew regenerative receiver in action! Below, you’ll find a video where Dave tunes in broadcasters with The Sproutie–she certainly has ears! 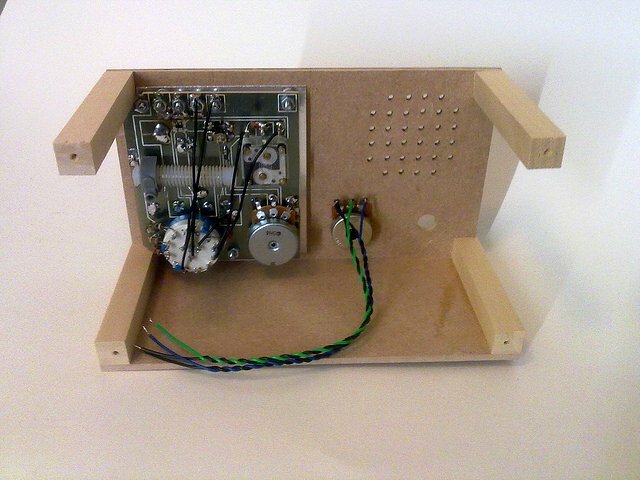 Dave, that’s a simple, beautiful little radio you’ve built there. I love the HRO knob–form and function at its best. Readers: be sure to check out Dave’s full post about the Sproutie along with another video. If you haven’t yet, bookmark Dave’s blog–it’s a good one! This entry was posted in Ham Radio, How To, News, Radios, Shortwave Radio, Videos and tagged Dave Richards, Dave Richards AA7EE, Home Brew, Regen Receivers, Regenerative Receivers, The Sproutie on November 23, 2014 by Thomas.